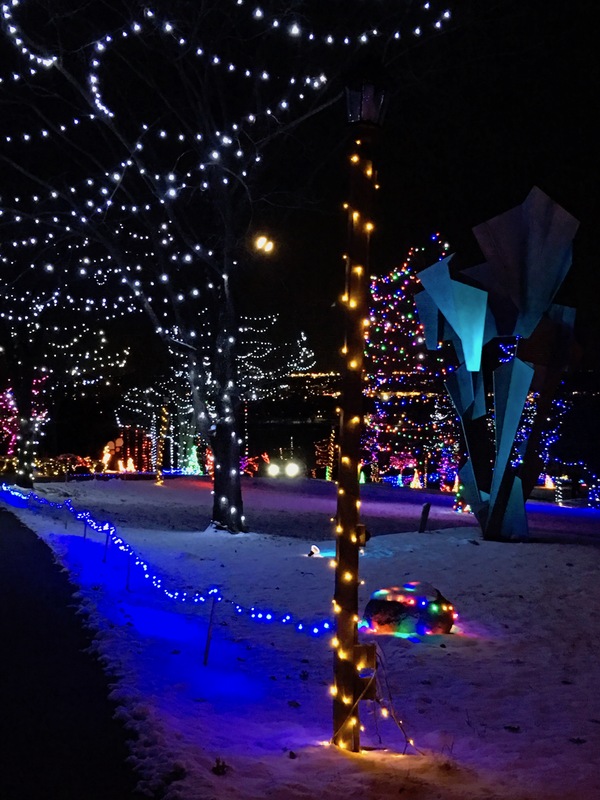 Holiday Lights on the Hill – Go There. Try That. Growing up, my Dad was king of outside Christmas (with help from my mom, of course). He loved decorating the house with colored lights galore. The brighter, the better! Lights lined the driveway and sidewalk, twinkling spheres hung in the trees, Santa stood proud on our porch, and wreaths welcomed guests through the front door. In fact, there might have been a little friendly Christmas light competition with our neighbors rivaling that of the Griswold family in National Lampoon’s Christmas Vacation. As an adult, I still appreciate the beauty of lights. Bold, bright colors in the dark of night and a peppermint mocha in hand. There’s nothing better. Here in Cincinnati, we have plenty of incredible light displays! One of those is Holiday Lights at Pyramid Hill. I wrote an earlier post about Pyramid Hill Sculpture Park (post here) as it’s one of my favorite places to visit when the weather is warm. In the regular season, you can rent a golf cart to peruse the park! So. Much. Fun. However, this was the first time I visited during the winter light display and it was super special. We pulled over for a minute or two to take it all in . . . and grab a selfie! Down in southeast Cincinnati, we haven’t had any real snow to speak of- definitely nothing sticking. 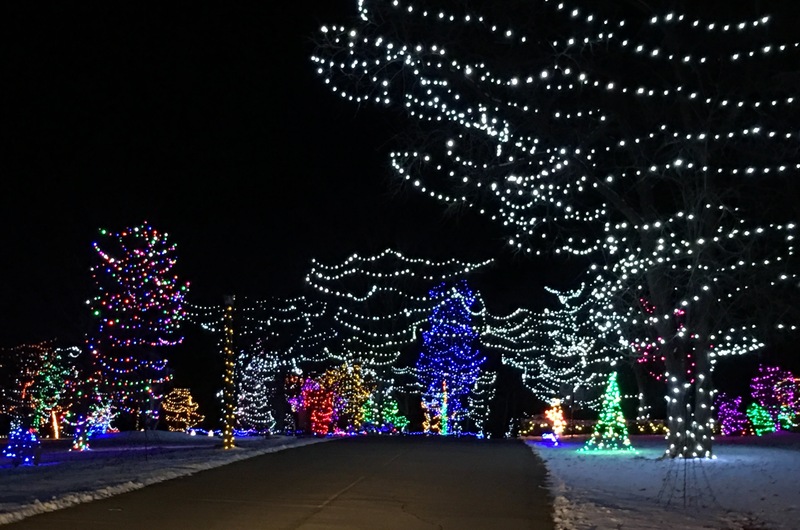 The drive was made sweeter when we arrived to find a white blanket of snow on the grounds (yep, no walking here; you can see all the lights from the comfort of your car)! 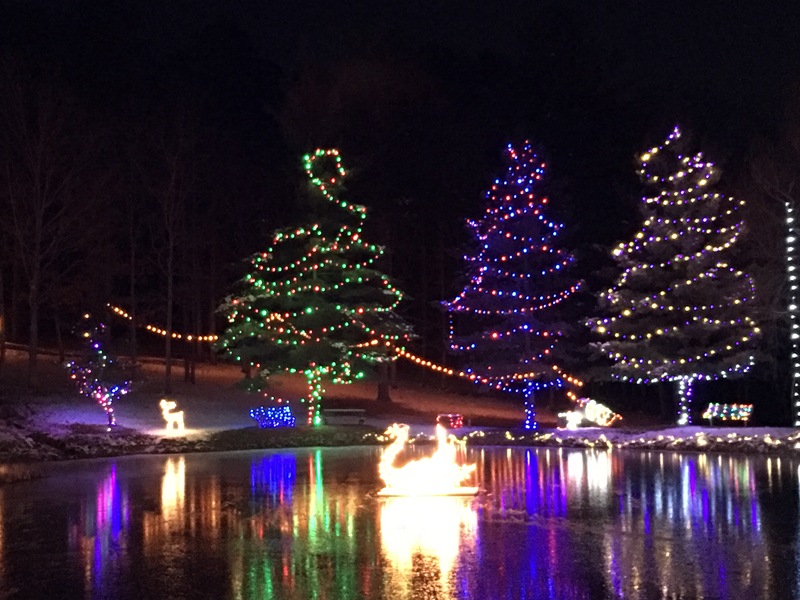 What makes the light display at Pyramid Hill so peaceful? The rolling hills, the city overlook, the bright moon, and the Christmasy looking trees sprawling across the property. Add the dusting of snow to the branches and it’s a winter wonderland. I love that one of the sculptures is visible in the background. White lights or colored lights??? I know this is a controversial topic open for debate. I’m a bright, loud, colored lights type of girl. I’m sure that goes back to my childhood fondness of our own personal winter wonderland! 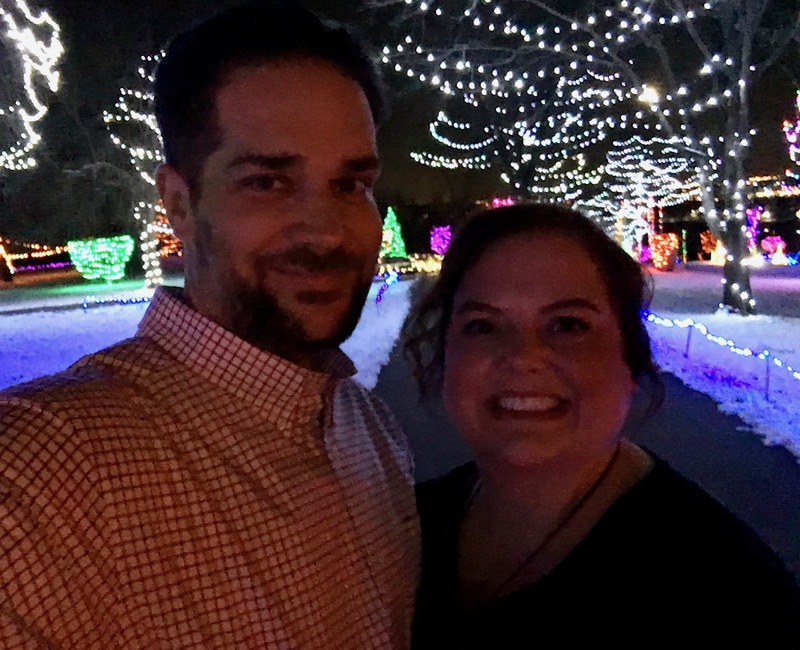 With the lights shining brightly and Christmas music setting the scene, Pyramid Hill offers plenty of calm in what can be the chaos of the season! There is more than a week left until its close on January 1st; I encourage you to take the drive through Pyramid Hill. Details: Open daily including holidays. Monday-Thursday 6-9 pm, $20.00 per car load. Friday-Sunday 6-10 pm, $25.00. Members- $15.00. GO THERE (Pyramid Hill)! TRY THAT (Holiday Lights)!